This would take the shape of a coherent plan to maintain and enhance environmental standards, ambitions and drivers during and after the Brexit process.To make sure that happens, we’re going to need the voices of people across the country to hold the Government to account. So this report is also intended to offer a positive vision. 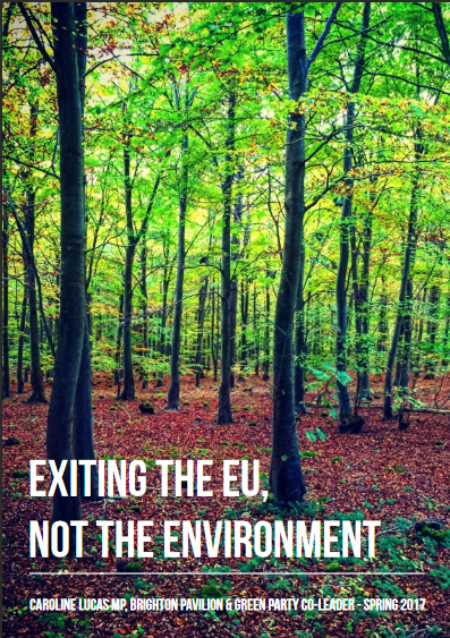 To inspire the degree of action required if we want to guarantee the same protections for the natural world we have enjoyed as members of the EU – and ideally to better them. to arms around which those from across the political spectrum can unite in a shared purpose – to make this historic moment count for something.